Surprisingly I only made one, yes one(!) sale purchase this year which comes in the form of the Marc Jacobs Oh, Lola! perfume set! As i was up bright and early on Christmas Day, I kid you not i was awake from 3! I ordered this set when i finally went downstairs (along with a Vera Wang Princess set for my Mum!) from Selfridges. I have wanted this perfume for as long as i can remember because i have a small bottle of the normal version of Lola and the pink bottle and flowery lid of Oh, Lola! made me want it even more! However, I usually cannot justify spending such a lot of money on perfume for myself. This set originally cost £50 which i would no way spend (cheap skate alert!) However come Christmas day, it was knocked down to half that price, at a more purse friendly £25! This is when i snapped it up! It comes with a 50ml Oh Lola! Fragrance and a shower gel and body lotion. All housed in a gorgeous, reusable pink box! I'm so glad i held out and managed to bag this half price! It smells amazing! Very similar to Lola but a little bit lighter (& a much cuter bottle!). Aside from this, and with Christmas money in hand i haven't actually bought anything else in the sales! Have you managed to snap anything up in the sales? As 2011 is quickly coming to an end i thought i would put up a 'year in the life of' post to go through the things i have been doing in my life through the past year, both in my personal and blogging life! January saw me go to London for IMATS with 2 of my favourite girls in the world Carla and Paula. We spent the weekend shopping, eating, drinking yummy cocktails, meeting up with friends and of course IMATs. It was such a great start to the year and one of my favourite weekends. 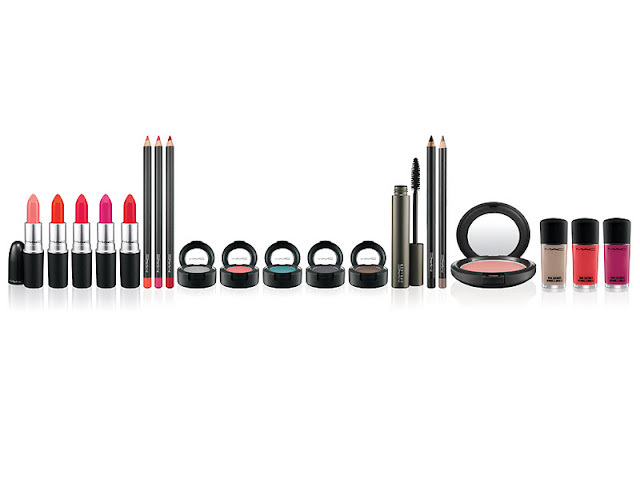 I also bought a couple of products from the MAC Stylishly Yours & Cham Pale Collections. I also went to see Usher in concert! Yeahhh man! February was the month that saw me go and see Jason Derulo in Leeds and also meet Shontelle which i blogged about here. It was definitely a highlight of the month! I also got some gorgeous Valentines Day goodies from my wonderful boyfriend. March was the month of my Birthday and saw me turn the grand old age of 22! Around the time of my birthday i went to see Westlife in Liverpool and Justin Bieber in Manchester for a couple of days away each time! Aside from this, at the end of the month I handed in my dissertation at University, Finished 4 years of Uni life and also flew across to Dublin in Ireland for a city break with my Boyfriend for a lovely few days. All in all, it was a busy month! Definitely one of the greatest months of the year! April was quite a quiet month as it was officially my Summer holidays! I attended the Gentry Grooming Event in Manchester where i brushed shoulders with some of the people from Hollyoaks and spent the night with some truly amazing friends! Blogging wise i reviewed the wonderful Sigma brush kit and also showed you the contents of my Louis Vuitton Handbag! May was a busy month blogging wise! It was the month that i joined Handpicked Media which was a real achievement for me and my blog! I was also sent and reviewed the first ever Glossybox (I cant believe how much they have taken off in just a few months!). I went to Tenerife for a week with my boyfriend for a last minute week in the sun then came home and attended my Uni ball! June saw me jet off for a week in the sun to the Greek island of Kos with my girls! One of the best weeks of my life! Sun, sea and cocktails with my bestest friends made for a truly brilliant time and lots of memories were made! It was also the month that Sleek MakeUP brought out not one but two make up collections aswell as the Oh So Special palette and i showed love for drugstore brands such as Jelly Pong Pong, mememe and Eyeko. In July i acquired a gorgeous new Michael Kors Watch (for the bargain price of £54! ), i also showed you a couple of my new, summery purchases. I also reviewed the lovely Xen Tan Dark Lotion Absolute Luxe which is a fake tan that i still absolutely love and showed you my Top 5 MAC Lipsticks. Oh and i GRADUATED! August was the month that i went down to London for a couple of days for my little sisters 21st Birthday. She didnt have a clue what we had in store for her and packed so much into a couple of days! We went to see The Lion King in the West End, went to the Hard Rock Cafe, had a champagne flight on the London Eye, sipped lots of cocktails and even went to the Ice Bar! It was such a super night away! Blogging wise, I divulged into my Illamasqua Cream Blush Collection (which are still my favourite blushes FYI!) and showed you my first Week In Photos. I also went to Liverpool over night to celebrate my 6 year anniversary with my boyfriend! August was the busiest month blogging wise with a whopping 22 posts! September was the month that saw me start my first ever full time job after finishing University and saw me juggling my blogging, work and social life for the first time! It was difficult but i still managed 20 posts in my first month of employment! I attended the Illamasqua Theatre Of The Nameless event in London and met some wonderful fellow bloggers! It was a time of beauty boxes and i blogged about both the Boudoir Prive and Glossybox beauty boxes. October was the month that my little bloggy turned 2! Aside from this, I went to see Katy Perry in concert in Newcastle and partied Geordie Shore style afterwards! Me and my friends rented such a gorgeous apartment for the night and had such a fab time away! I also blogged all things Inglot, MAC, Sheer Cover and Lush. Novemeber saw me attend not one, not two but three concerts! I was lucky enough to go and see Tinie Tempah, Britney Spears and Rihanna all live in concert! Absolutely amazing! I also made the trip down to London for the Aussie-Versary VIP Party with a few lovely ladies! I also blogged about this wonderful River Island Cardigan and treated myself to this gem. So here we are, December! Its been such a whirlwind year! December was the ultimate month of beauty boxes! With me reviewing the Carmine, Joliebox and the Christmas Glossybox. I attended the store opening of the beautiful Illamasqua Store in Leeds which was an absolute pleasure to be invited to! I met up with some wonderful bloggers, drunk champers and given a very generous goodie bag. 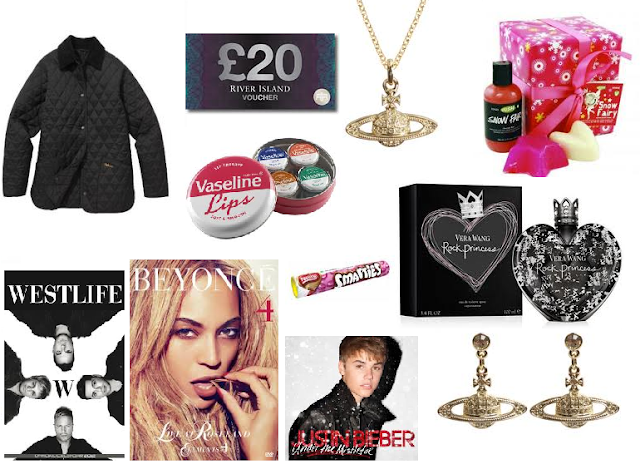 Christmas was spent with my lovely family and i blogged about my Christmas Gifts! Myself and Carla also went to Milton Keynes to stay with Paula and try on some beautiful Wedding Dresses! So there we have it! A year in my life! I am really looking forward to what 2012 has in store for me, both through blogging and in my personal life! I hope you enjoyed reading and thank-you if you got this far! Thank you so much to each and every one of you for following, reading and commenting as always. It has been a pleasure sharing my life with you all and i enjoy blogging now, just as much, if not more than when i first started! With Christmas only just round the corner i thought i would share with you a last minute gift idea by Neom Luxury Organics. For those that may have never heard of Neom they are a company that provide a range of organic luxury bath, body and home fragrance products. Their promise is that their products contain no synthetics, no petrochemicals, parabens, SLS or PEGS and that only pure essential oils and the finest organic ingredients are used. This is the complete bliss hand wash & hand lotion collection in Moroccan blush rose. You get large 250ml size pump-bottles of both the hand wash and the hand lotion in the gift set. The hand lotion is a rich blend of Vitamin A & E packed shea butter, Macademia nut oil, rosemary leaf and pomegranate. It has 95% certified organic ingredients and 5% natural ingredients. The hand wash is to protect hands and is a deep yet gentle organic hand wash. It is packed with soothing Aloe Leaf Juice, Chamomile flower & apricot fruit extract. It has 71% certified organic ingredients in it and 29% natural ingredients. Both Products are packed beautifully inside a gold box, with a ribbon and a bow with lovely red rose print on the inside and out. The back of the box states the contents inside, what they include and how to use them. Along with all ingredients. The scent of both products is wonderful and has a real pungent rose smell and they come in pump bottles which is always a bonus, these would love lovely in your bathroom! This would be a perfect gift for ladies who love luxurious organic products or as a treat for yourself. This set is available to buy on the Neom Organics Website here for £27 (down from £32). No i didnt know who she was either! But after a quick google search i found she is a 'fashion icon', shows how much i know really about fash! And if you did know who she was, high five to you! 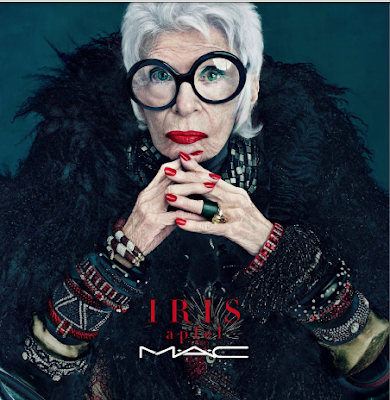 Iris Apfel, former interior designer, businesswoman and fashion icon has teamed up with MAC to bring us the Iris Apfel collection and the first collection of 2012. It will be an online exclusive, so not available in store and contains pink and orange toned lipsticks & lip pencils, dark smokey shadows and nail polishes amongst other things. larger-than-life star in Barneys New York windows, Apfel boldly mixed flea market finds with hate couture, decades before doing it was considered de rigueur. A run down of the products in the range. Available EXCLUSIVELY on www.maccosmetics.co.uk in January 2012. Anything catching your eye? I am liking the sound of the pink pigeon lipstick, although not so sure of the matte shade! May have to take the gamble and order!